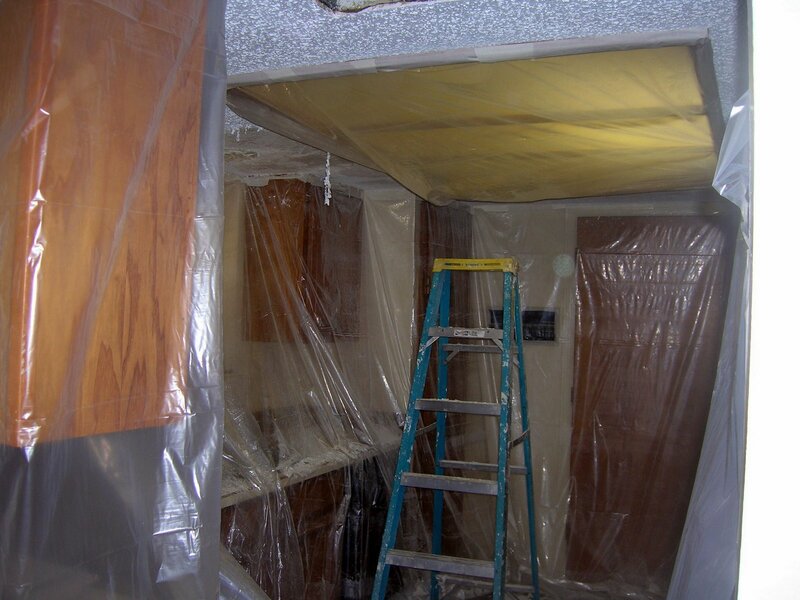 And here’s a picture of one room that’s done and one room that isn’t so you can see the difference. 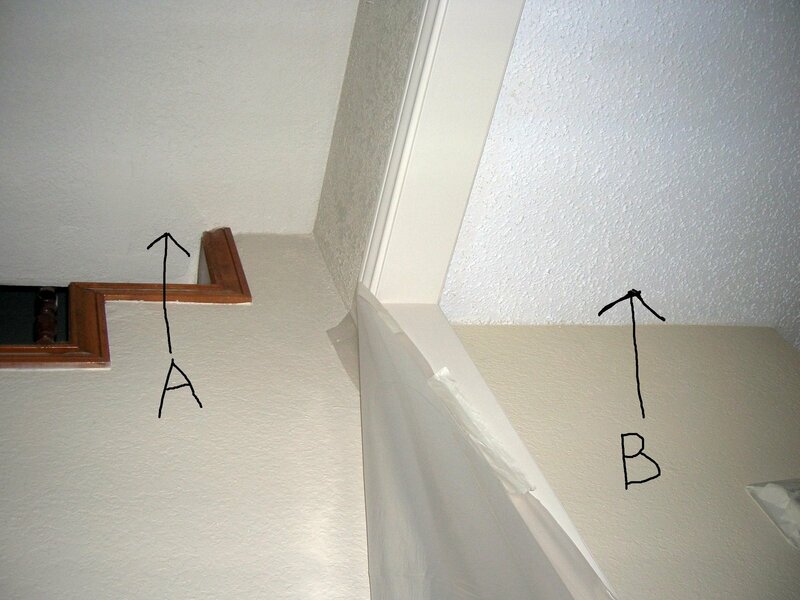 Arrow A is the beautiful redone ceiling, arrow B is the ugly popcorn ceiling. You can’t really tell from the picture but the walls in the two rooms are different colors as well. 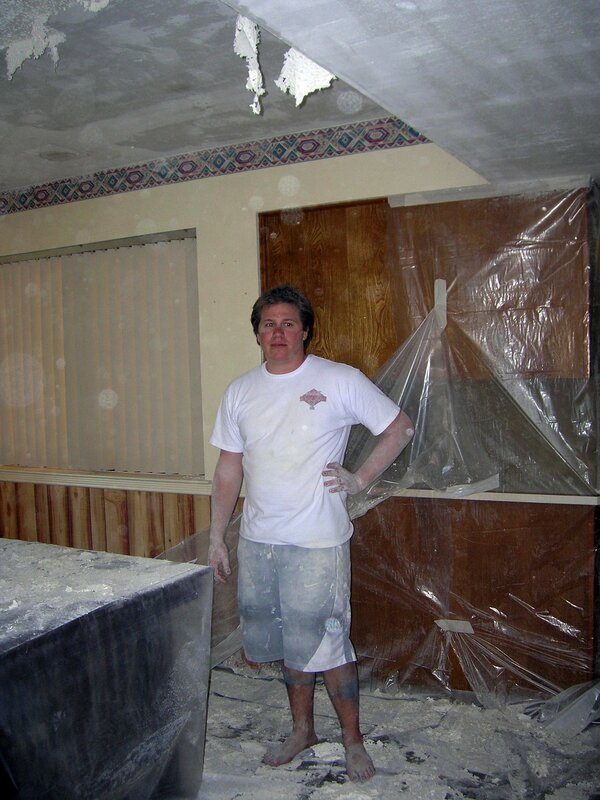 Brian worked really hard with the scraping and texturing and drywall repair and painting. I worked really hard not to breath in any paint fumes. Ok, I didn’t work all that hard. If you want to do this at your house you can ask Brian to help you. He’ll tell you no, but you can still ask. 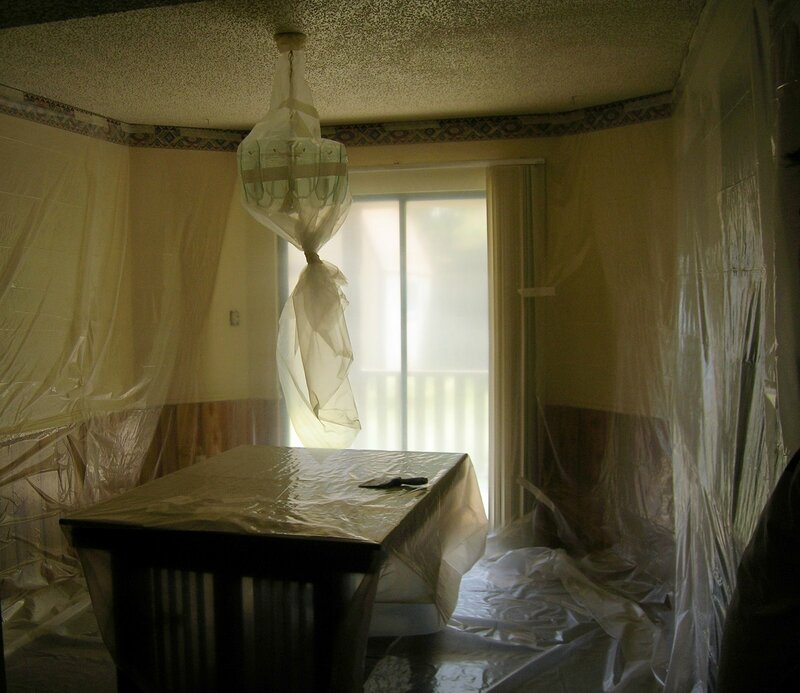 with his popcorn-removal skill and your sewing skills, you guys are sure to have a home revamping empire in no time! I love the new ceilings, and the texture is a good look for Brian! 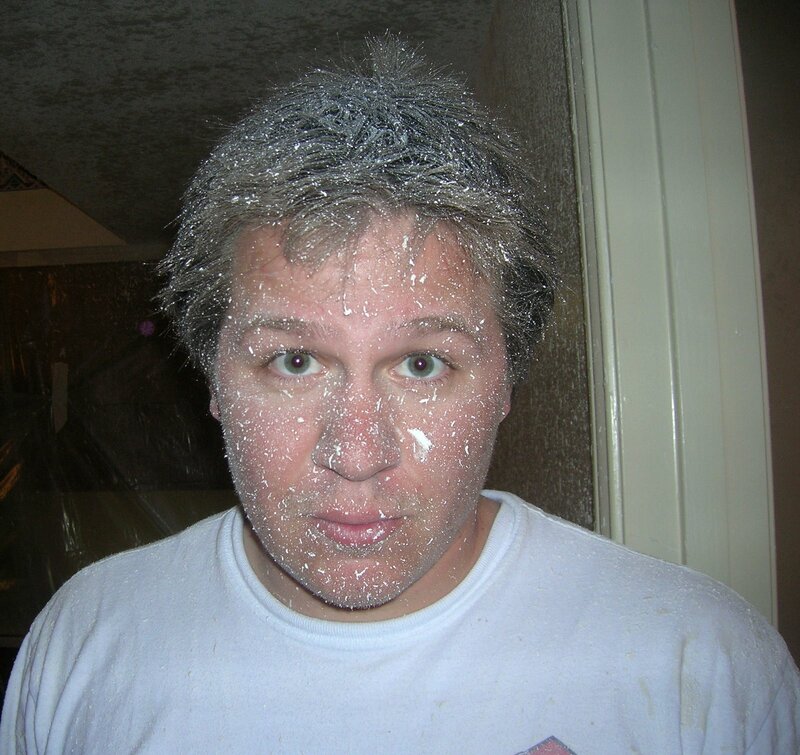 What is it with Texas and popcorn ceilings? Even our newer house has popcorn ceilings. All over the country people are scraping them down and putting up new stuff and here they keep on using it.